Continuing with the Urban Farm Challenge and the cheese theme for March I am making mozzarella. This is my first time making this. 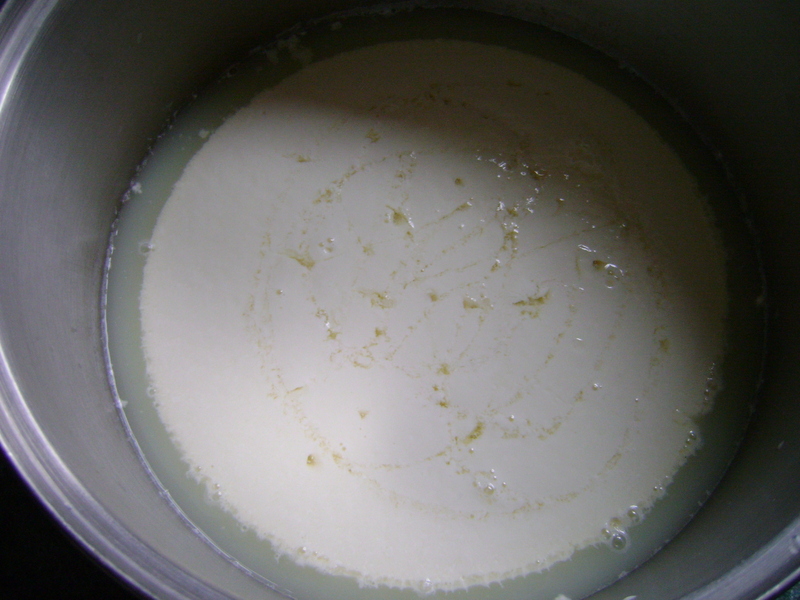 I was a little worried as more ingredients are needed than the last cheese I made, including the dreaded rennet. Luckily I found a vegetarian rennet. I wanted to follow this recipe from Andrew at Eating Rules but not having a microwave I had to look elsewhere, most recipes are similar, it’s the technique that varies. I went with this recipe as it seemed easy to follow. This recipe worked like magic, the milk thickened like yoghurt as it said it would, the curds separated from the side of the pan just it said it would. Then I ran into a little trouble, I made my mozzarella into balls and sat them in the ladle to dip into the hot whey as I was told but my cheese was slow to get to the stretch and the last ball just wouldn’t stretch at all. I will say for a first try at mozzarella it was a moderate success. I have ended up with cheese that is a messy mozzarella. Mine didn’t stay in a ball but flattened out. It has a harder texture than store-bought mozzarella, maybe I over kneaded? However what it lacks in looks it makes up for in taste. It tastes good, mild and creamy like mozzarella should taste. I will be trying this again and hope to improve the shape and texture. If any cheese makers can help me out with these things and advise me where I went wrong, that would be great. 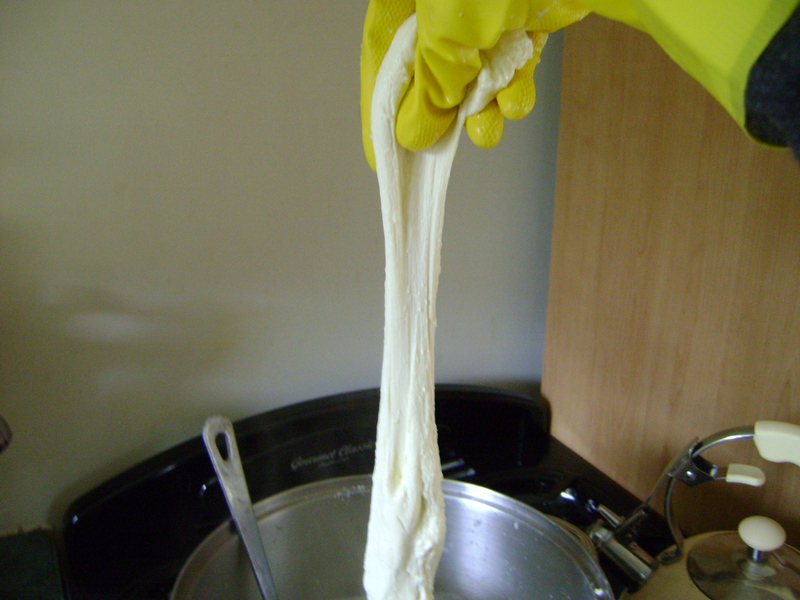 Stretching the mozzarella, who knew I would own a pair of rubber gloves especially for cheese-making! My mozzarella, slightly flat but it tastes good! This entry was posted on March 31, 2012, 15:46 and is filed under Urban Farm Challenge. You can follow any responses to this entry through RSS 2.0. You can leave a response, or trackback from your own site. I’m very impressed with your first effort – I have never tried to make any cheese other than ricotta…Nice to see your blog in color again! Thank you Liz, it was fun and easy. Next time Im using buffalo milk! Thank you! It’s much easier than I imagined. Hi 🙂 Visiting from the UFHC. Even though it isn’t as soft as the store bought stuff, I’d say it was a success as long as it taste good. I love how the challenge is taking us out of our comfort zone to try new things. Thanks! I also love the challenge, looking to more of the challenge as the year goes on! Hey Jayne! Great first effort 🙂 I have NEVER made cheese, ever. I would love to try…I keep saying that. Kudos to you and so pleased it is tasty and delish. Thank you! It does taste great, will have to try it again to perfect it! Don’t know if my first comment took as I can’t see it here…but great first effort!! 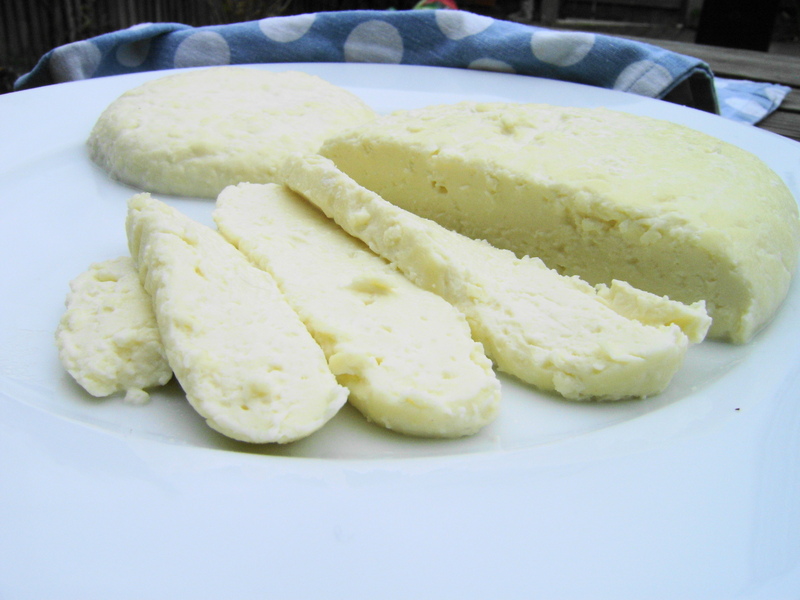 So pleased it turned out to taste delish–I have never made cheese. Oh I was too scared to try the mozzarella, that looks great! Thank you! It wasnt too hard but will take a couple of tries to perfect! Great work! 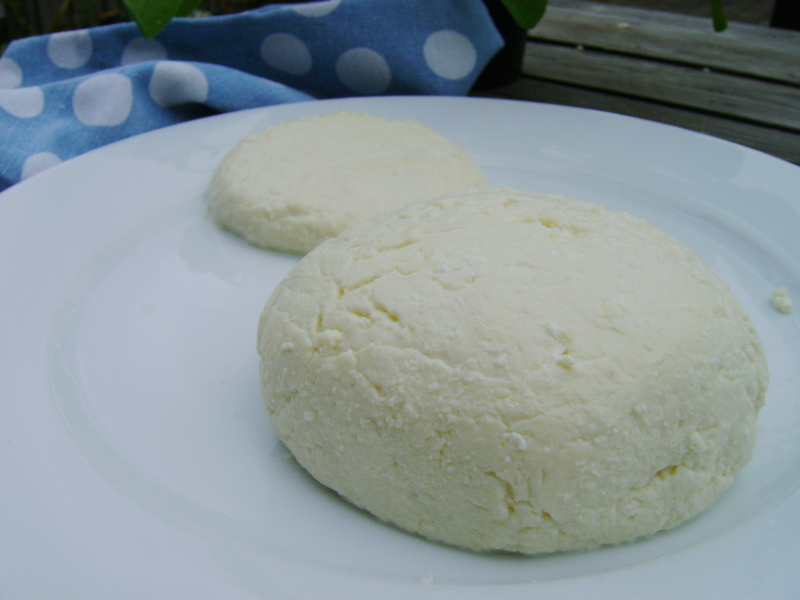 I have only made ricotta so far, but plan to try mozzarella, too! Thanks! I hope you do make it!